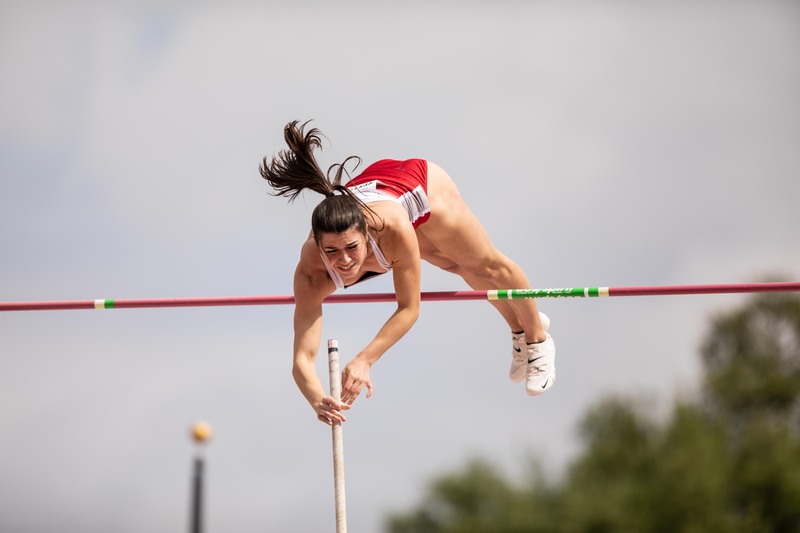 Both the Coyote men’s and women’s pole vault teams had individuals claim the top spot in the nation over the weekend at the 92nd Clyde Littlefield Texas Relays in Austin, Texas. Junior Helen Falda found herself at the highest mark in the NCAA standings after Friday’s competition, vaulting 14 feet, 3 1/2 inches. She was not the only women’s vaulter to have success. Senior Kimmy Peterson set a new personal best at 14-1 3/4. For Falda, this jump is one inch off of her personal best of 14-4 1/2, which she set when she competed for UT Arlington. Peterson, a transfer from USF, broke 14 feet for the first time in her career. Peterson currently ranks sixth in the nation, one spot behind Falda, who has fallen to fifth since their meet Friday. Junior Chris Nilsen did what he does best in the men’s competition Saturday. Nilsen broke 19 feet for the first time in 2019 with a vault of 19 feet, 1/4 inch. He eclipsed that mark six times in 2018. Nilsen may have competed in the collegiate section, but he would have won the elite section filled with vaulters at the professional level. Nilsen ranks first in the NCAA following the jump. He is also second in the world in 2019 with the mark. With his performance, Nilsen was honored with Summit League Athlete of the Week. The award has been given to Nilsen an astonishing 19 times over his career, but this is the first for the 2019 outdoor season. Nilsen has two of the four titles won at the Texas Relays by USD athletes since the school started sending athletes to participate in 2012. Both Nilsen and Falda had strong indoor showings this spring, making it to the NCAA Indoor Championships on March 8 and 9. Falda finished inside the top 10 at the event. Nilsen repeated as the runner-up in the men’s pole vault. The next meet for the USD Track and Field team is their first of two home outdoor meets. The South Dakota Challenge takes place at Lillibridge Track Complex in Vermillion, S.D on Saturday.